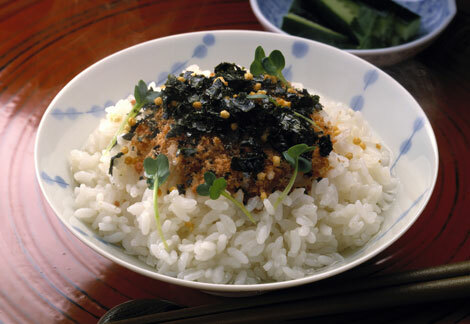 Furikake is a sachet of dried fish and vegetables that you can sprinkle on top of a fresh bowl of cooked rice. Although there are many different varieties of furikake, the most common ones include ingredients such as dried fish, nori seaweed, sesame seeds and salt. This is a quick and easy way to give a bit more flavour to rice. Although gomashio is very similar to furikake, it differs slightly as it consists of just sesame seeds (goma) and salt (shio). This is a very popular topping for rice and is popularly used as a seasoning for homemade onigiri rice balls. 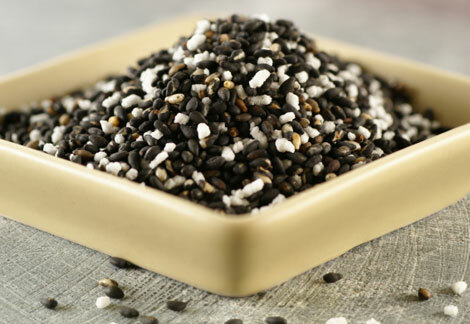 The sesame used in gomashio is roasted before being mixed with the salt and can either be black or white sesame. 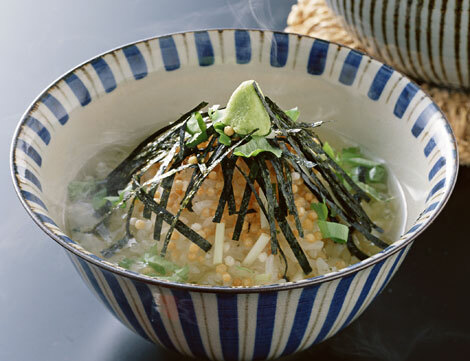 Ochazuke is an interesting combination of a bowl of rice covered with Japanese green tea. Leftover rice is perfect for ochazuke as it is not commonly considered a main dish so the portions stay small and the tea helps to replenishes the moisture lost in the rice. Ochazuke can also be combined with furikake sprinkled on top or even garnished with Japanese pickles such as umeboshi and tsukemono. 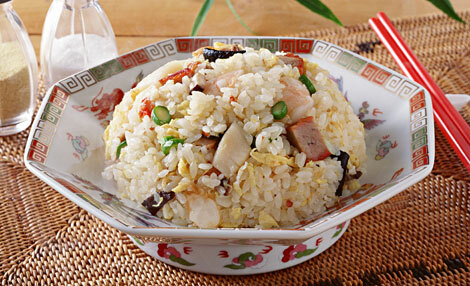 Although Chahan originated in China, this style of fried rice is very popular in Japan and there are a variety of easy to use ingredient packets that you can simply add to rice while frying it in a large pan or wok. Chahan has many different varieties all over Japan and Asia so it can really be cooked with any ingredients you like (or with what you have leftover in your refrigerator). 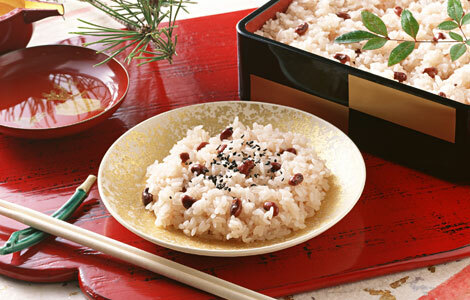 Sekihan is a traditional Japanese dish made from sticky rice mixed with azuki sweet red beans. This is often enjoyed on Japanese holidays and celebrations due to the red celebratory colour that the dish takes from the beans. 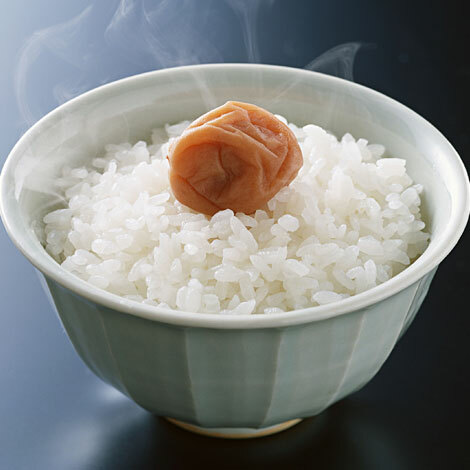 This slightly sweet dish works much better using special mochi rice rather than any other type of long or short grain rice due to the sweet flavour and very sticky texture. Like many rice seasonings, you can buy pre-made sekihan or make it yourself with mochi rice and azuki beans. 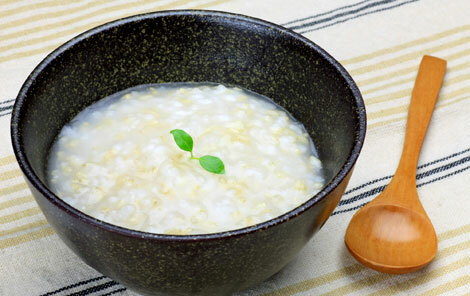 Okayu is a Japanese congee dish which is very similar to rice pudding, but with a savoury flavour. This dish is usually made with sticky Japanese rice in a bowl with 5-7 parts water to each part of rice. This gives is a thick texture which is then seasoned with a single umeboshi picked plum, sliced spring onions, pickled ginger or fish roe placed on top. Okayu is a popular dish for people when they are ill, and can supposedly even help after you have drunk too much! Definitely the Japanese version of chicken noodle soup! Posted in Food and tagged Green Tea, rice. Bookmark the permalink. Hello! It would be great to find out where to find Ume Gome Furikake in Europe. I loooove it and the best one I found was in Uji-city Kyoto. Help please!! !